Dental implant therapy requires attentive care to ensure the success and health of your prosthesis. 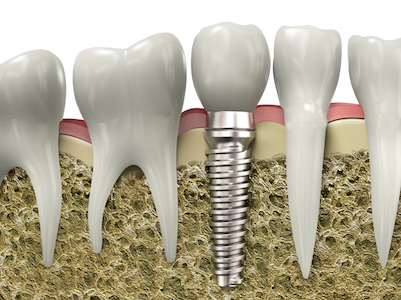 Traditional implants require 3-6 months of healing after the titanium roots are implanted. This allows the surgical area to heal, and for new formation of bone around the implant. Providing enough healing time is key, as this ensures the stability of your final appliance. If necessary, additional bone grafting can be performed to aid in the retention of your implant root. Bone grafts come from yourself or donor tissue and are placed prior to the surgical implant process.